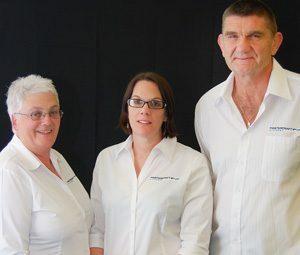 Mastercraft Kitchens Palmerston North – Kitchens By Healey is a family business – owned by Peter and Sue Healey, and managed by their daughter Louise Cooper. Peter and Sue have been involved in the kitchen industry in the Manawatu for over 50 years between them. Peter is a qualified joiner and a past president of the NKBA. Their experience and knowledge means that you get only the BEST ADVICE when planning your new kitchen. We are a family owned and operated business, established in 2003 and now employing 20 staff. Our kitchens are custom-made to suit our clients tastes and budgets. We have access to up-to-date materials, interior fittings and cabinet accessories. We also supply home owners directly and many building companies including a number of Jennian Homes Franchises in the Lower North Island. We are members of the Master Joiners Association. Our showroom is a Hettich Endorsed Showroom. All our kitchens carry the Mastercraft Kitchens 10 year Worksmanship Guarantee, and all the hardware that we use has a manufacturers own lifetime guarantee. We have experienced installers, ensuring that the finished kitchen meets our high standards. “We recently moved into our new house built by Jennian Homes and were delighted that Jennian chose Mastercraft Kitchens by Healey to make and install the kitchen. We weren’t too sure about what we wanted or what we could afford but Nathan took us through the process superbly and fully explained everything. His attention to detail was meticulous and right on the mark and when he said he would email us or send a sample he did. He was thoroughly professional in everything he did and his communication outstanding. The finished kitchen exceeded our expectations. Palmerston North, Fielding, Bulls, Marton, Hunterville, Mangaweka, Rangiwahia, Apiti, Kimbolton, Norsewood, Dannevirke, Mangatainoka, Eketuhuna, Levin, Shannon, Linton, Foxton, Weber, Waione, Ashhurst, Pongaroa and all surrounding areas. Photo credit: The kitchens on this page have been created by Mastercraft Kitchens Palmerston North. Thank you to our fabulous clients who invited us into their homes to photograph their dream kitchens. Photography by Jamie Cobel.